Older beach cottage, lovingly maintained. Sleeps 8 in 3 bedrooms with one cozy bathroom. Double, Double, Double with set of bunk beds. 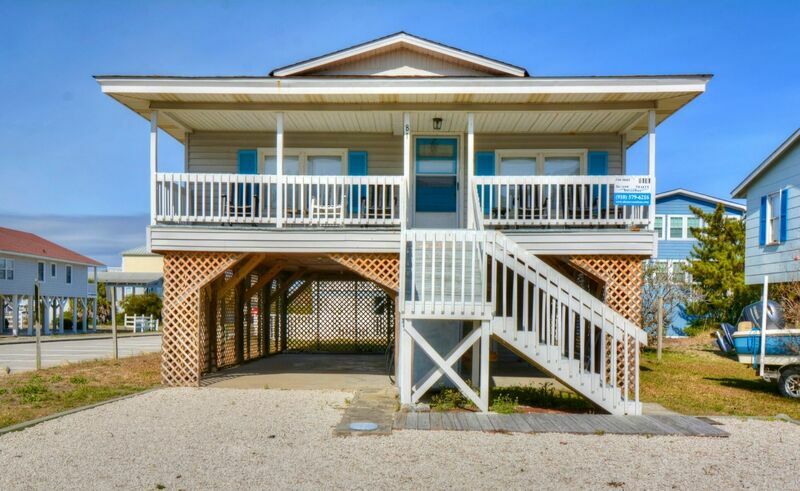 Second row home with beach access directly across the street; unbeatable location. Sit on the front deck and see the ocean! Flat panel television in living area, DVD player, wireless internet access, 1 bath with shower, small kitchen with all the basics; NO dishwasher. Second refrigerator and washer/dryer downstairs and picnic table. Dog friendly with additional deposit per dog. Limit 2 dogs. Non-smoking. All linens included. Its been a wonderful week. The beach was so nice we hardly did anything else. Our house was bigger than we expected... We WILL be back!